Julie Warner Travel Plans (formerly named: Going Somewhere? Independent Travel Broker & Advisory) has been established through a love of travel, with over 20 years of independent travel to over 120 countries that has lead to a wealth of knowledge and a desire to fill an area of the travel marketplace that was noticeably vacant. We want others to have the confidence and ability to do the travelling that they dream of, as we have been able to. The past 17 years since having our two children we have still maintained our passion for travel and have been fortunate to enjoy some fantastic holidays as a family. With this personal experience, we can assist your family in achieving your dream vacations without needing to take out a second mortgage. We have taken our 14 and 17-year-old children to 54 and 51 countries respectively starting from as young as 3 months old. 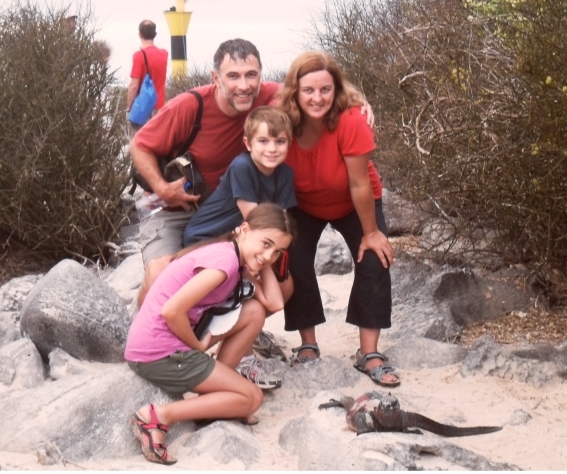 Your love for travel doesn’t have to get put on hold once you decide to have a family – you truly can travel with kids! Your travelling dreams will be turned into reality whether it be through saving you valuable time and/or money with our unique Broker Service, or enabling you to make the most of your chosen destinations with our customised Itinerary Advisory, or with our Personalised Consultancy which can assist with all those questions and problems that arise when planning your trips away to enable you to do the kind of travelling you want, in your chosen destination. You get on with your busy life while we do all the research and shopping around and then you decide which options is most suitable and book directly with that provider in one phone call. We look forward to assisting you with your unique travelling experience.